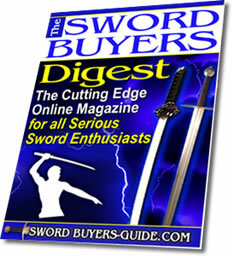 Stay up to date with the latest news and articles with the SBG Sword Blog! 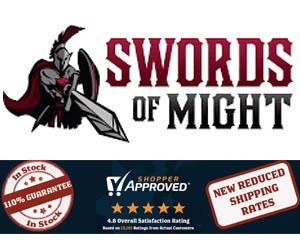 You might also be interested in our SBG Sword Store Blog - which is actually updated more frequently and contains information on current special offers, additional product information and musings, sneak previews of swords in development, industry insights and much more! Check it out here (link opens in a new window for your convenience). 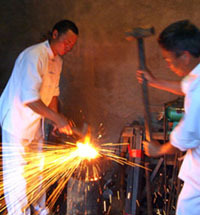 Continue reading "Is Siwode a trustable or legitimate sword maker?" 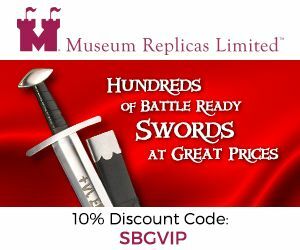 One of the finest swords we have ever been involved with, we are delighted to offer this stunning heirloom quality collectible art sword - the perfect marriage of functionality and beauty. Continue reading "Seraph Aegis Now on Sale"
Before you even think about buying someone a sword for Christmas, you need to read our christmas buying guide or your good intentions could seriously backfire..
Continue reading "Christmas Sword Buying Guide 2018"
Legendary Swords - the LAUNCH! It is official, SBG's new 'sister site' Legendary Swords.com is now finally live 15 months after I first started development on it - and hits the ground running in Beta 1.0 with all the backstories, behind the scenes sword making pages, fantasy sword art galleries and even a webcomic series ready and waiting for you to check out first hand. With nearly 200 pages of content, in truth the site is still very much in its infancy, but I am pretty sure that if you are a fan of battle ready fantasy swords, you will find your first visit to be enjoyable. And while you and there, be sure to sign up to our newsletter as it is the best way to stay up to date and be notified of major developments, new competitions and when another chapter of the free webcomic is released.. 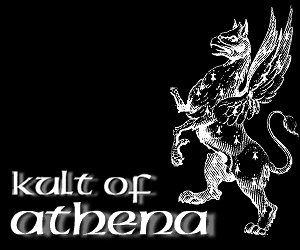 The clock is ticking, quite literally - and the site for Fans of Battle Ready Fantasy Swords is launching to beta 1.0 on the 20th of September 2018..
As such, my focus will largely be on the new site making sure it is all ready for the official launch, so updates here will slow down as a result. 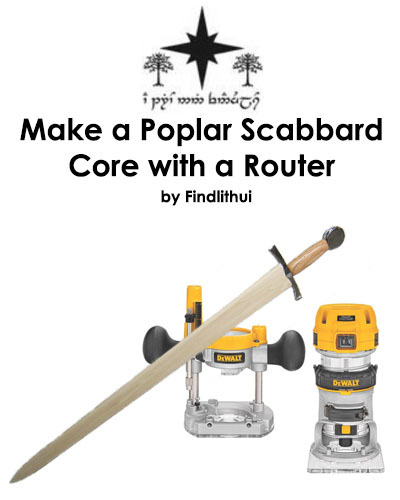 To find out what all the fuss is about, check it out here on the Special Projects page of SBG..
"Fantasy Sword Art Made REAL in STEEL"..
Our sword customization and making pages just got even better with two free PDF ebooks donated to the sword community by Findlithui. Combine these tutorials with everything else recently added to the sword making and sword customization pages and there is almost everything you could ever ask for on how to DIY it - all 100% free. How to make your own Sword Sharpening Kit from a couple of blocks of wood, a workbench and a sharpening stone. Easy and consistent results, and no upfront cost. Continue reading "DIY Sword Sharpening Kit"
Our quest, to find the ultimate King Arthur Sword Replica. But first, we had to define what Excalbur would have really looked like, look at how others have defined it, and then see what is out there in terms of good quality replicas. Come with us and see what we found..
Continue reading "King Arthur Sword - the Quest for the Best Replicas"
The techniques to get rust off a sword are not that hard to learn, though they do take time and a fair bit of elbow grease. Here we provide you with the know how on how to do it, the elbow grease is up to you..
Continue reading "Clean Rust off a Sword, a How To Guide"
If you are into Japanese swords, it is a bit unbalanced not to have any Wakizashi in your collection. However, for various reasons explained in this article, Wakizashi are not always easy to find. Here you will find what Wakizashi and Wak variants are available on the sword market, why they are important and a little bit of the history behind them. Continue reading "Wakizashi & Daisho Buyers Guide"
Over the last 2-3 months we have been adding a pretty decent chunk of new content, sword reviews, DIY tutorials and more to SBG. As such, the final changes involved a reorganization of the sites navigation to make it a bit easier to find stuff and a final coat of virtual paint to give it a new look and feel (actually, it is more of a return to an older - but updated - version of how SBG used to look, and a closer match to the forums which remained unchanged while we had a stripped back version for a while). 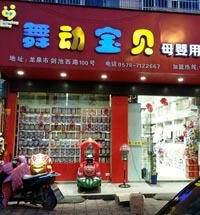 Anyway, if you have not visited SBG in a while, you might be pleasantly surprised by what you find. 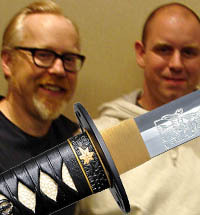 Continue reading "Extreme Sword Collecting"
The Hattori Hanzo Sword build - Adam Savage formely from Mythbusters, commissioned on of our talented SBG sowrd customizers to make him a replica of the Kill Bill Brides Sword. Here is how he did it, step by step, and how you can customize a sword as well! Continue reading "Hattori Hanzo Sword Build"
A detailed, step by step DIY tsuka tutorial from the perspective of a beginner trying it for the first time. 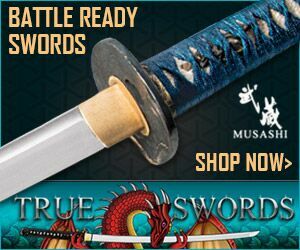 Learn the most popular method to create a tsuka core for your Katana that fits like a glove and would normally cost several hundred dollars..
Continue reading "DIY Tsuka Tutorial"
Continue reading "Easiest way to bring out a hamon line"
Quick tutorial on how to patina a sword so that it looks like a medieval museum piece. As real swords rust quite easily, it's not that hard - but if you just let nature take its course you will only ruin your blade. Continue reading "How to patina a sword"
Continue reading "Del Tin Armi Antiche"
Information on antique medieval swords, photos of originals, how much they are worth and where to actally buy them! 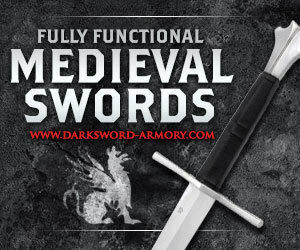 Continue reading "Antique Medieval Swords"
Continue reading "Sharpening Katana - Traditional and Modern Methods"
As part of the ongoing expansion and revamp of SBG, the medieval swords page have just received a few days worth of extra TLC and now has DOUBLE the number of sword reviews with a stronger emphasis on historical accuracy. 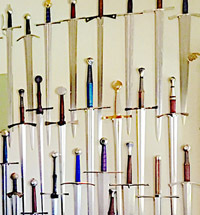 If you haven't visited it in a while, you will likely be pleasantly surprised..
Continue reading "Medieval Swords Page Expansion"
We have just completed a rather large overhaul of our Sword Making page, now with more detailed articles on forging swords, making swords via stock removal and how to wrap leather handles and make scabbards 'the easy way' (well, maybe the 'easier way' is a better way to put it - nothing about sword making is really all THAt easy of course). Have a look and see what's new. Continue reading "Expansion of Sword Making Pages"
Continue reading "How to do a sword handle wrap "
Continue reading "How to make a scabbard"
An advanced technique, distal taper stock removal is necessary to create the best handling most authentic functional European sword. In this hands on tutorial, we take a look at what kind of sword you can make with this method. 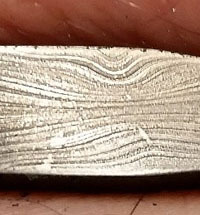 Continue reading "Distal Taper Stock Removal Tutorial"